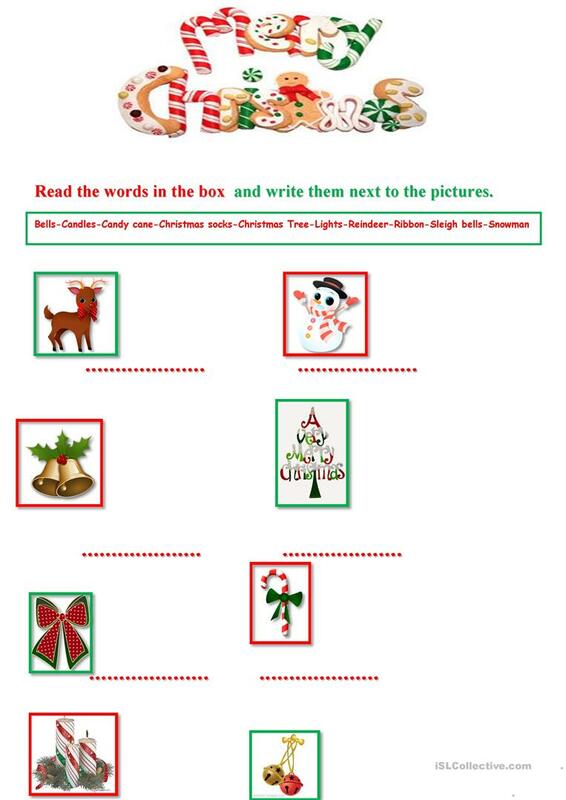 Easy ws to review Christmas vocabulary.Sts can describe the pictures too. 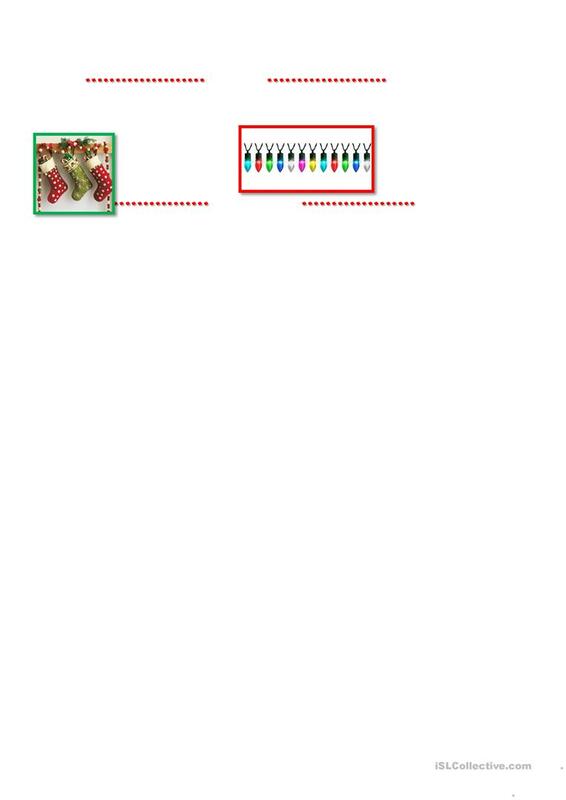 The above downloadable printable is best suited for elementary school students, kindergartners and nursery school students and students with special educational needs, learning difficulties, e.g. dyslexia at Beginner (pre-A1), Elementary (A1) and Pre-intermediate (A2) level. It is useful for improving your pupils' Speaking and Writing skills.